BUT NOW WE'RE NOT HUNGRY"
"Matagal kaming naghintay pero ngayon hindi kami nakakaramdam ng gutom." These were the words of one of the hundreds of Batangueño farmers who waited for me in Lipa City on Tuesday for my first face to face with them in the Biyaheng Bukid. It was a statement filled with profound messages and I understood everything that he wanted to say. Farmers and fisherfolks, the poorest sectors of Philippine society, have long been neglected by government. Indeed, there were interventions provided in the past but most of these were intended to get their support during election time and hardly answered what they actually needed to improve their lives. - For a country of 7,500 islands and 39,284 kilometers of coastline, the Philippines still imports fish, including Galunggong. - While vast tracts of fertile land could be developed to produce high value crops, the Philippines imports Onion, Garlic, Coffee and others. I could go on and on with the long list of products which farmers and fishermen could easily produce but which are still imported until today. There are three important factors to reverse this pathetic situation and these are Technology Transfer, Easy Access Financing and Government-Supported Marketing. 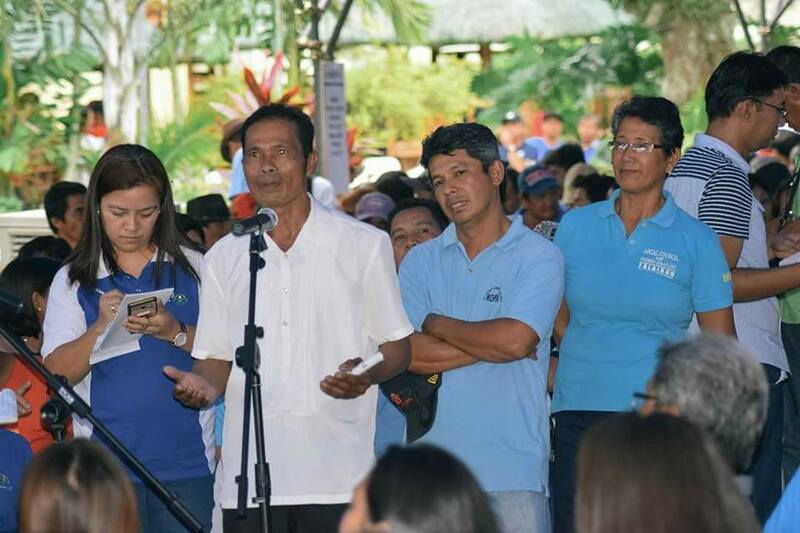 During the four-hour face off which stretched from 1 to 5 p.m., farmers and fisherfolks of Batangas understood this. They agreed to embrace modern technology with the Department of Agriculture and Fisheries committing to conduct trainings. The DAF also introduced the Production Loan Easy Access (PLEA) to finance their farming and fishing activities. Finally, the DAF committed to support the.marketing of their produce including absorbing the Organic Fertilizer produced by hog and poultry raisers of the province. A group of you farmers producing pasteurized and ready-to-eat roasted eggs was also promised marketing support. After the forum, farm implements worth over P82--million procured by DA Region IV-A under Director Arnel de Mesa were distributed. The farmers and fishermen indeed waited for genuine government interventions but on Tuesday, they finally saw a well-defined Road Map which would improve their productivity and lift them up from poverty. "Uuwi po kami na busog at maligaya," the farmer said.